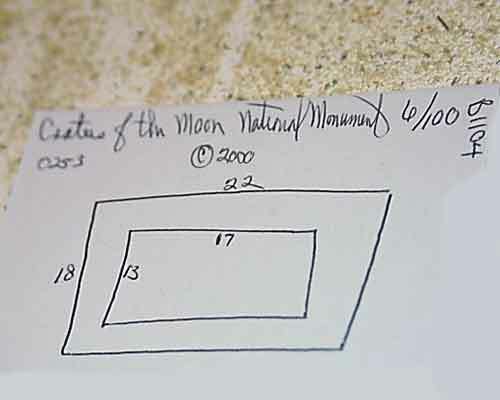 Start by making a sketch of : the picture size the frame size. For this 18X22 frame, buy 8' moulding. Cut a +45 degree edge on one end. 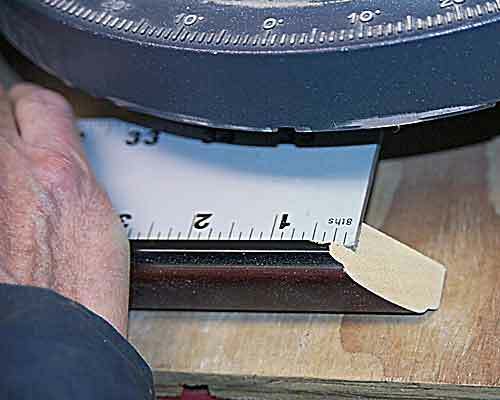 With the rabbit side up, place a ruler on the cut end. Make a mark with a WASHABLE child's marker at 3/16ths past the 18" mark. 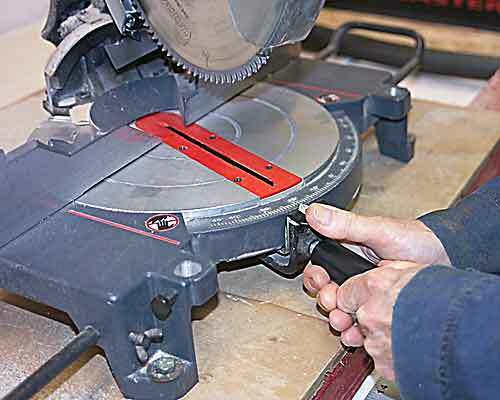 Push the base-handle latch down. 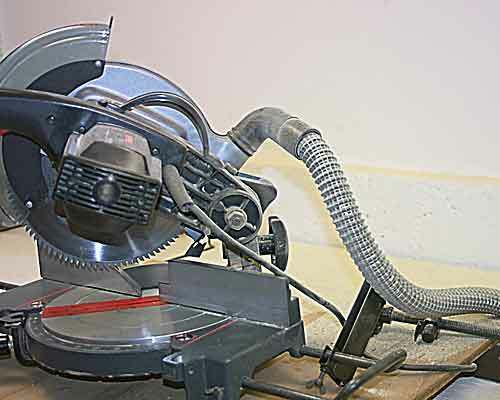 Rotate the saw base to -45 degrees. 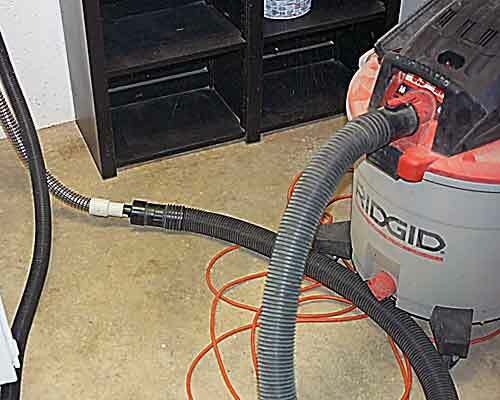 Turn on the Vacuum system which has been connected to the saw. NOW-return to the first end and cut off 1/16th inch! That leaves a length of 18 1/8" for the 18" side. Make 2. 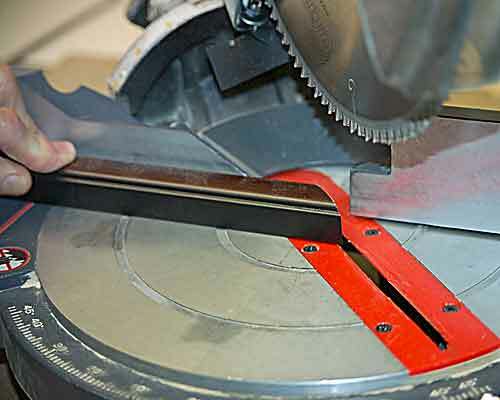 Repeat the process with the 22" side. Make 2.